Operates an online insurance marketplace that helps consumers find and purchase the coverage they need. Coverage ranges from across life insurance, health insurance, disability insurance, renters insurance, and more. 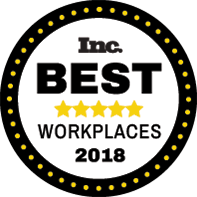 Our culture is a testament to what it means to be the Best Place to Work. It all starts with our values, which we have woven into our entire talent model and absolutely put into practice. We have a set of six tangible values that are baseline expectations in working with people (internally and externally). Beyond that, you get to bring whatever flair you have to the table. You get to be you! And that is what breeds creativity, innovation, and collaboration.